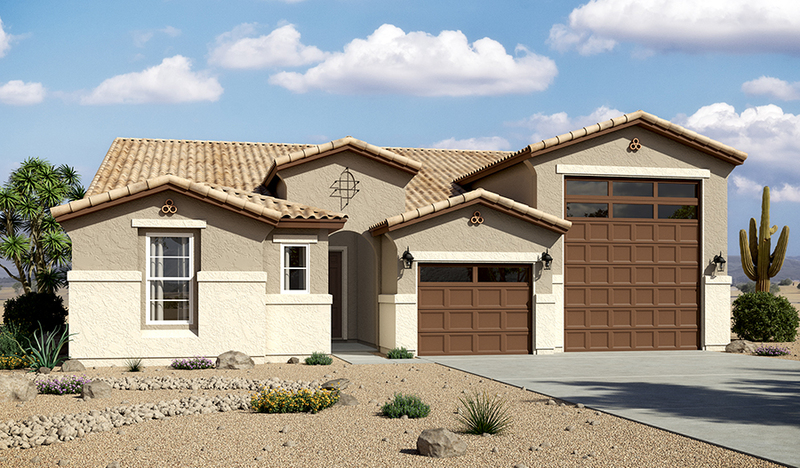 This ranch-style new home greets guests with an RV gate, paver-stone driveway and charming covered entry. Inside, you’ll find a great room, a well-appointed kitchen featuring 42" espresso maple cabinets with polished chrome hardware, quartz countertops, a center island and a walk-in pantry, and an open dining room with center-meet doors leading onto a covered patio. Other highlights include a powder room, versatile flex space and three inviting bedrooms, including a lavish master suite with a deluxe bath with quartz countertops and an immense walk-in closet with laundry room access. A mudroom with tech center and attached RV garage with insulation are also included.